Christmas has come early with this news! 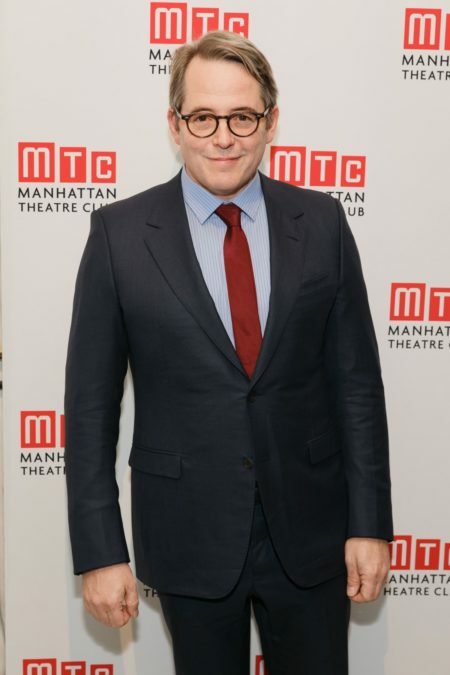 Two-time Tony winner Matthew Broderick will play The Narrator in Fox's next live musical, A Christmas Story. As previously announced, the production is inspired by both the beloved 1983 film and Tony-nominated Broadway musical. Dear Evan Hansen's Tony-winning music duo Benj Pasek and Justin Paul (who received 2013 Tony noms for A Christmas Story's score) will write several new songs for the broadcast. Grease: Live's Jonathan Tolins and Robert Cary are set to adapt the book. The three-hour live event is scheduled to air on December 17. As the narrator, Broderick will play the grown-up Ralphie Parker, who looks back on his favorite childhood Christmas. The stage and screen favorite is a two-time Tony Award winner for Brighton Beach Memoirs and the 1995 revival of How to Succeed in Business Without Really Trying. Last seen on Broadway opposite Tony winner Annaleigh Ashford in Sylvia, Broderick struck gold at the Broadway box office opposite Nathan Lane in The Producers. His other Broadway credits include It's Only a Play, Nice Work If You Can Get It, The Odd Couple and more. As previously reported, Fox held a nationwide casting call for the central role of youngster Ralphie Parker this past summer. Saturday Night Live Emmy nominee Maya Rudolph has been announced to play the mom of Ralphie Parker. Casting and additional creative team members will be announced at a later date.